Maximo Nivel | Best Rated Study Abroad Organization in Latin America! Maximo Nivel is the leading organization in study abroad and educational travel in Latin America. 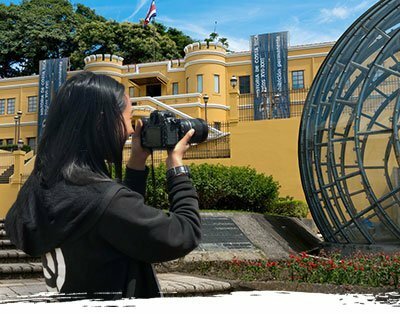 We are an internationally-accredited organization with 4 local institutes in 3 of the world’s most beautiful countries — Costa Rica, Guatemala, and Peru. You can choose from a variety of programs—Volunteer Abroad, International Internships, University Abroad, Spanish Immersion, TEFL Certification, and much more! Whether you want to study, volunteer, teach, take a Gap year, get international work experience, or just get involved in life, language, and culture, Maximo Nivel has a program for you! Everything is organized for you from academic courses and in-country projects, to accommodations, tours, and transportation. Maximo Nivel is totally committed to providing you with academic excellence, great client service, and safety in every aspect of your program. You always have a great home base at Maximo Nivel! Volunteering with a local organization like Maximo Nivel provides a unique opportunity to live and work in Latin America. Learn to serve while giving back to the global community and immersing yourself in the local culture. This is a life-changing experience! Careers are more global than ever before. You need to develop a whole new set of professional skills to ensure your success and to set yourself apart. Get practical work experience, develop Spanish language skills, and build your international network. Maximo Nivel offers personalized, study abroad programs and is one of the most affordable university abroad providers available anywhere. University programs are available year-round — Spring, Summer, Fall, and Winter. Be a global student, be a global citizen! Teaching English abroad opens the door to a world of travel and new cultures. Help students worldwide realize their academic and professional dreams. Get an internationally-recognized TEFL certification. Get international work experience. Get paid as a world-class English teacher. LOST IN LOVE OR TRANSLATION? Maximo Nivel offers the most intensive and effective Spanish immersion programs in Latin America. Study with qualified local Spanish instructors. Boost your standing at university, add to your career skills, and put your world travels on the fast track! Spanish Camp is specially designed for teens all over the world. 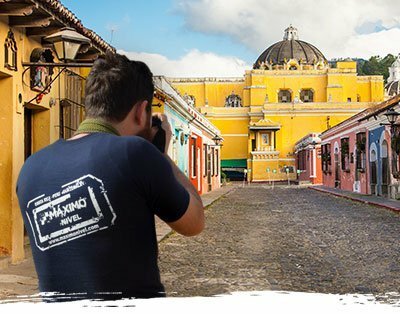 Spend 1 to 5 weeks in a full-immersion program that integrates the Spanish language into travel, community service, sports, and cultural activities. This unique summertime experience helps students grow into global citizens! Gap year programs combine travel, volunteering, Spanish, and TEFL. Create a personalized country jumper itinerary that includes the best of Latin America. Earn academic credit that transfers to your university. Gap years are one-of-a-kind experiences that are absolutely transformative! 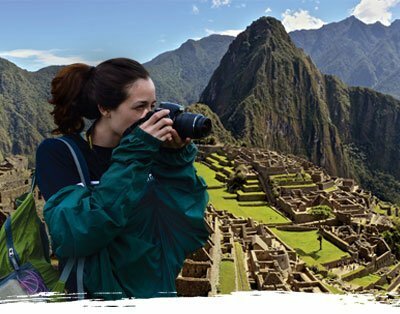 World-class adventure and culture programs that take you beyond the classroom and provide unique opportunities to explore Costa Rica, Guatemala, and Peru. Upskill and get certified in scuba, yoga, and surf… Make your travel meaningful! The institute at Maximo Nivel-Guatemala is a peaceful home base campus in the heart of Antigua. It’s a beautifully restored colonial building with a central garden and fountain for students to enjoy. There is also a second building, just a half-block away, with an incredible view of the city. The Maximo Nivel-Peru institute is located in the commercial center of the beautiful, historic city of Cusco. Just 3 blocks from the Plaza de Armas, the campus is in the cultural center of the city, across the street from Q’oricancha—the ‘Temple of the Sun,’ the most sacred site in the Inca Empire. 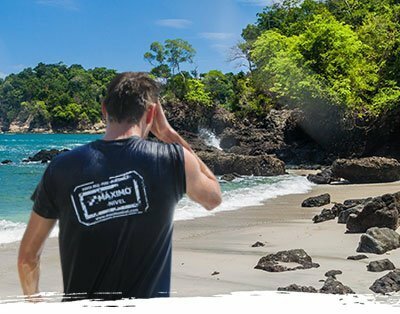 The open-air institute in Manuel Antonio sits on top of a small mountain overlooking the clear, blue waters of the Pacific coast. On campus, participants study amidst the natural beauty of Costa Rica’s largest national park, rainforest, and white sand beaches. You can walk to the beach right after class! The Maximo Nivel institute is located in San Pedro—the university district of the capital city of San Jose. The neighborhood offers a great student vibe and the campus is bright and sunny with indoor/outdoor study areas. Maximo Nivel San Jose is only 10-minutes from downtown! We take you out of your comfort zone while keeping you comfortable.